Sealed Air is a global leader in food safety and security, facility hygiene and product protection. Holding large packaging contracts for prominent blue chip corporate companies, the New Zealand operation is a large one with significant infrastructure. 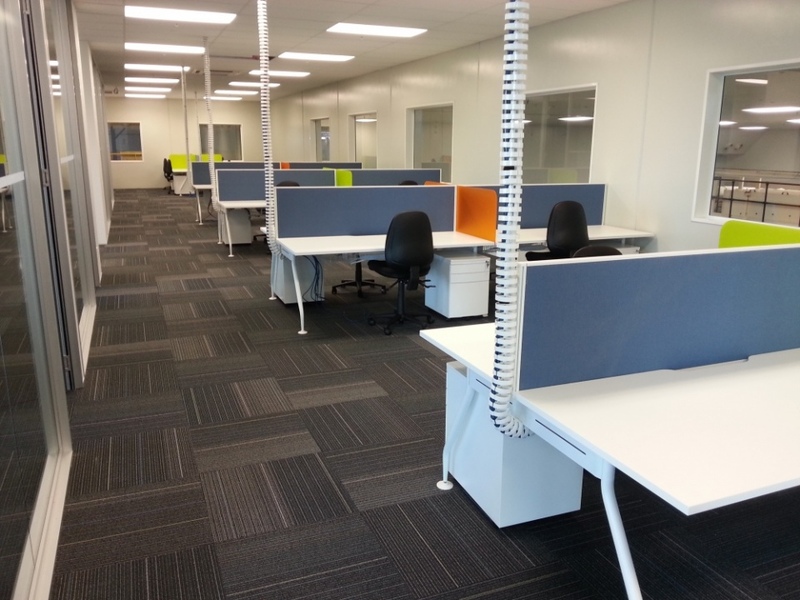 Sealed Air set out to streamline its New Zealand call centre operations centralising that part of the business to their existing facility in Hamilton. Purpose built the new site would offer a modern and sleek location overlooking part of the state of the art factory. 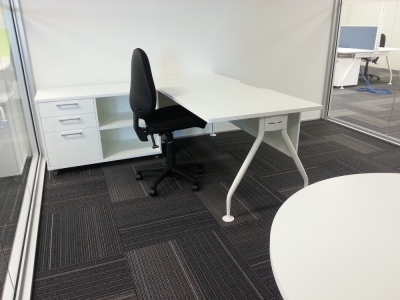 Originating out of Australia’s head office our ability to present furniture for approval at any location in New Zealand and supply trial items directly to the Australian offices was seen as a real advantage to the company. Shape worked closely with Sealed Air in increasing capacity and room for future growth by consulting on various layout and configuration options alongside the architect. Shape also highlighted significant saving opportunities in power and data reticulation through soft wiring and managing cable delivery through flexible spines. Shapes Vibe Workstation system provided the flexibility to create a clean, crisp and inviting workplace. The use of corporate colours through screen fabric and acrylic brought an element of corporate identity into the fit out.